A walk through prehistoric southern California. 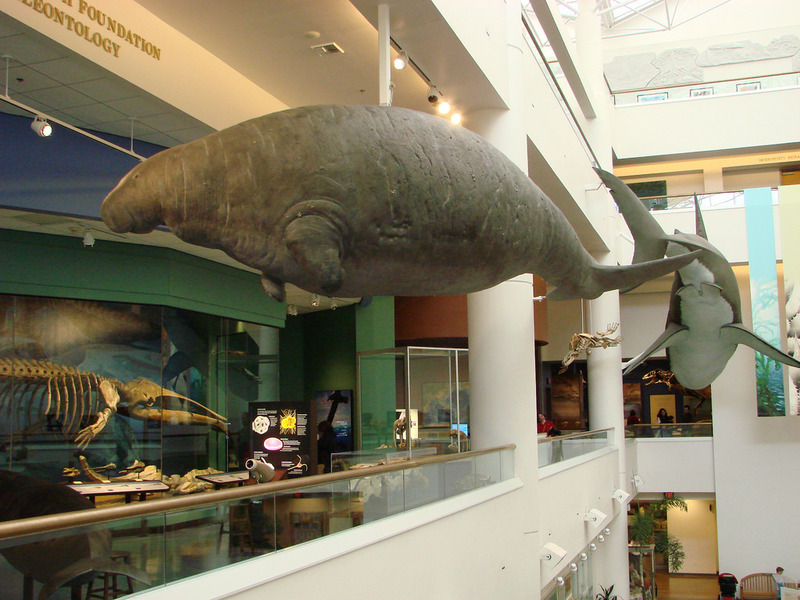 From dinosaurs to mastodons to ancient sea cows, discover the rich fossil history of our region. 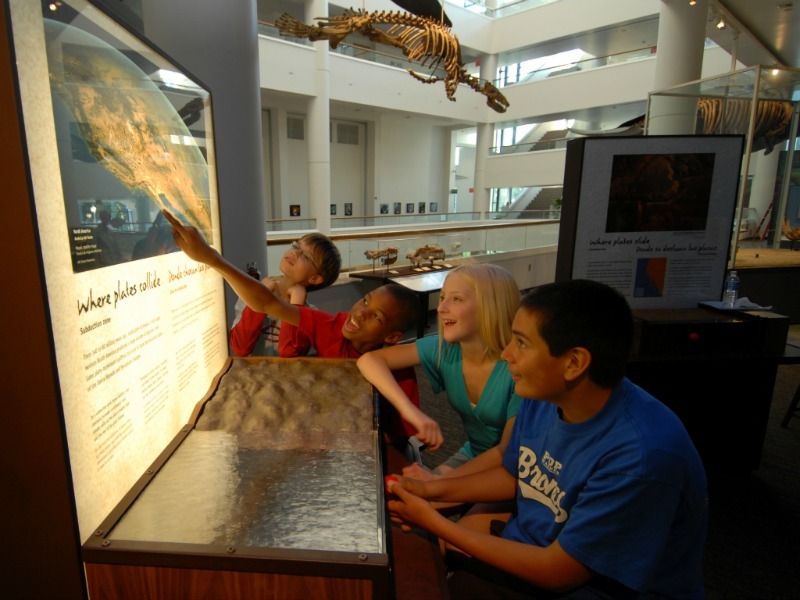 Ponder a mystery, examine the strong fossil evidence from the Museum's collection, and use scientific tools to discover answers. 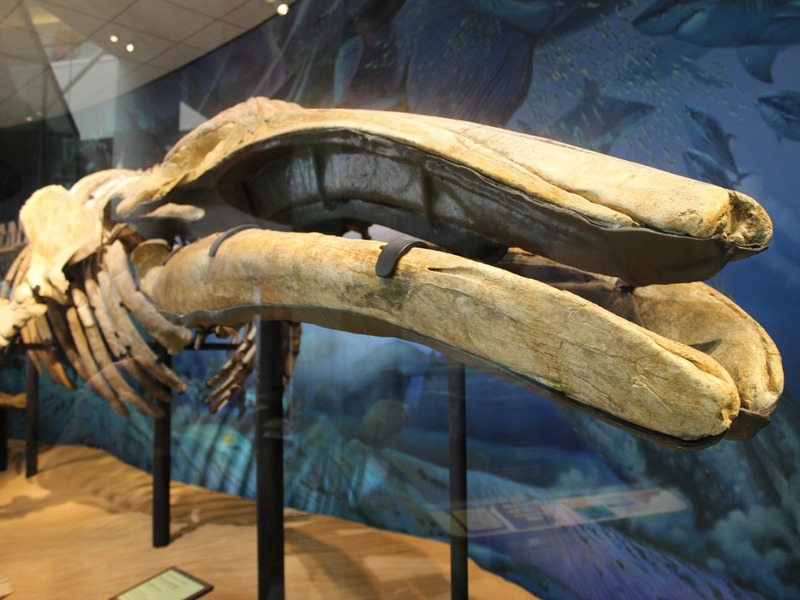 Traveling through a 75-million-year timeline--from the age of dinosaurs to the Ice Ages--experience an unfolding of the prehistory of Southern California and Baja California, Mexico. A highly interactive exhibition, Fossil Mysteries explores big themes in science: evolution, extinction, ecology, and Earth processes. 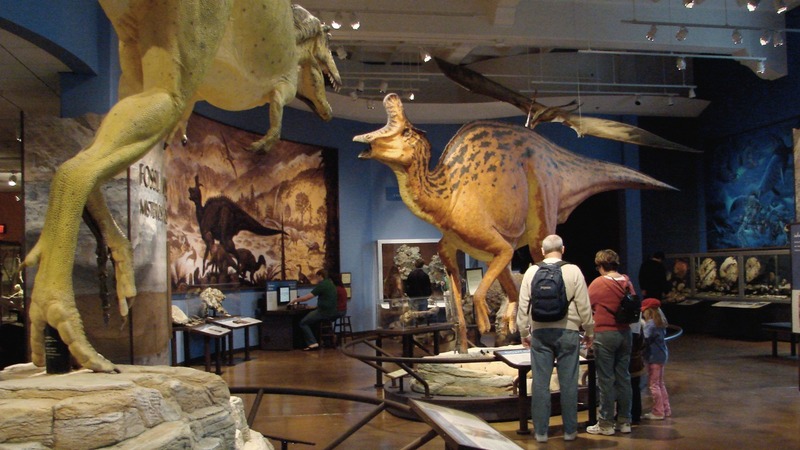 Abundant fossils, models, murals, and dioramas offer unique multi-sensory experiences. You'll see the world—past and present—in a whole new way. 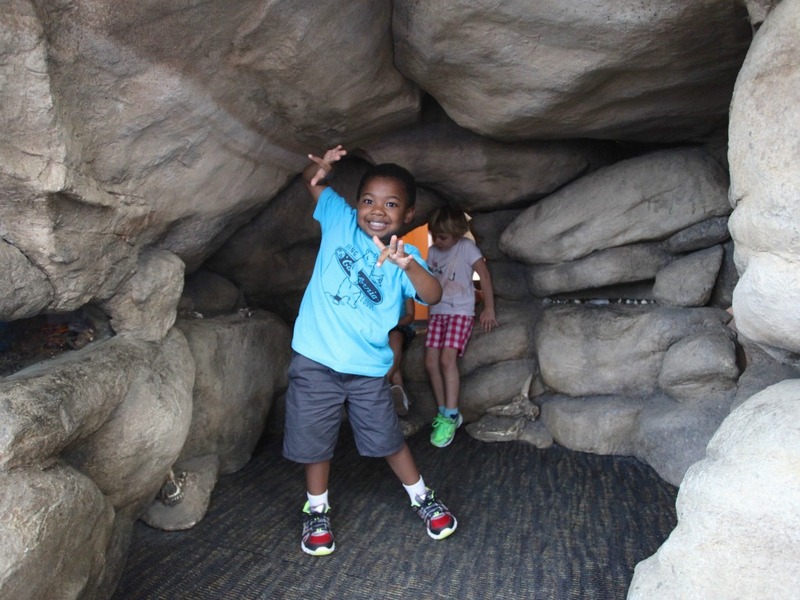 Look at and touch real fossils and rocks—the clues to solve countless mysteries. Assemble a story about a dinosaur's life, death, burial, and discovery. Move like an animal or build an animal! Make the Earth change shape by moving interactive models. 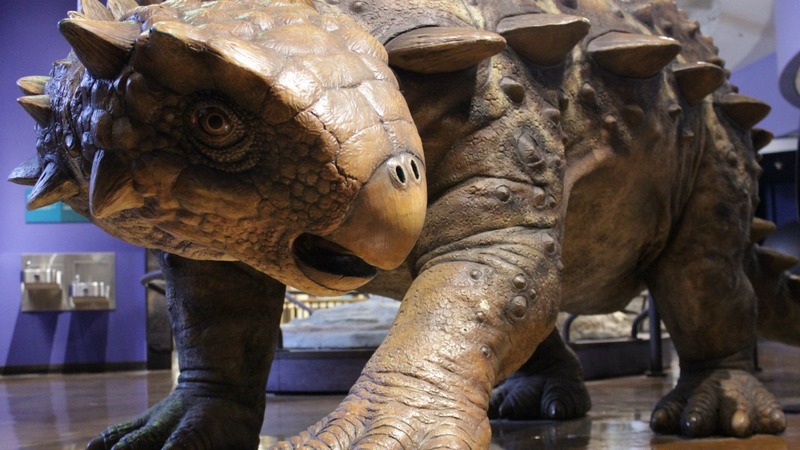 Imagine prehistoric plants and animals that lived in southern California and Baja California. Find survivors of the past. Where are the dinosaurs in our region? 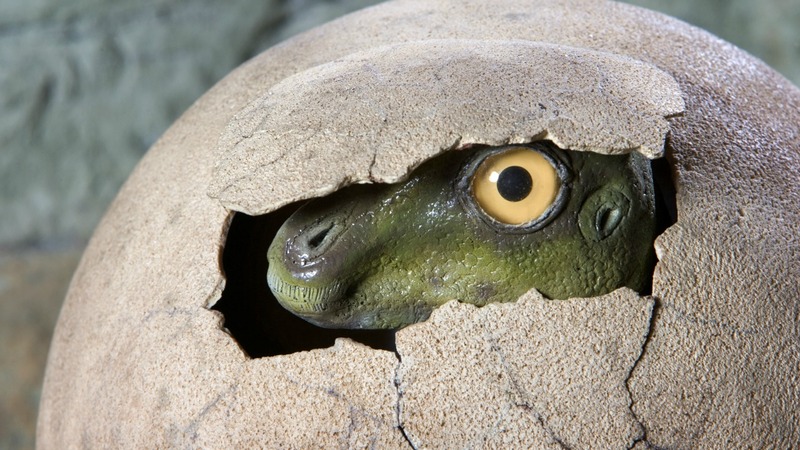 How did prehistoric animals evolve? How did they live, move, and interact? How did our region take shape? How did mass extinction reset the world stage? Why did some animals become extinct? 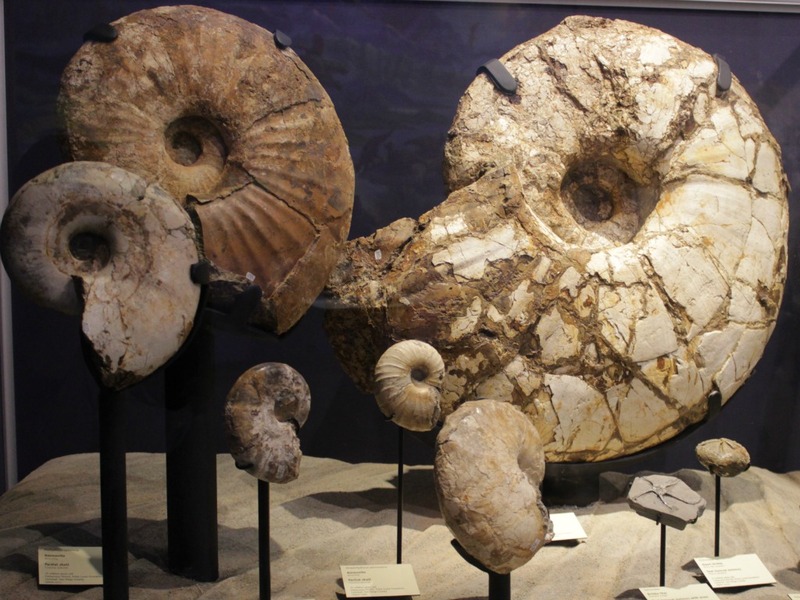 How do fossils relate to our lives today? Discover a world full of change in Fossil Mysteries. For a quick tour of the exhibit, visit our interactive map. For more about the exhibition, see our in-depth description. Museum members and visitors may recognize William Stout as the painter who created the prehistoric murals in Fossil Mysteries at theNAT, but there is much more to this talented artist than meets the eye. From film design to comic books, LP covers to T-shirts, murals to theme park design, William Stout’s attentions and talents seem to know no limits. 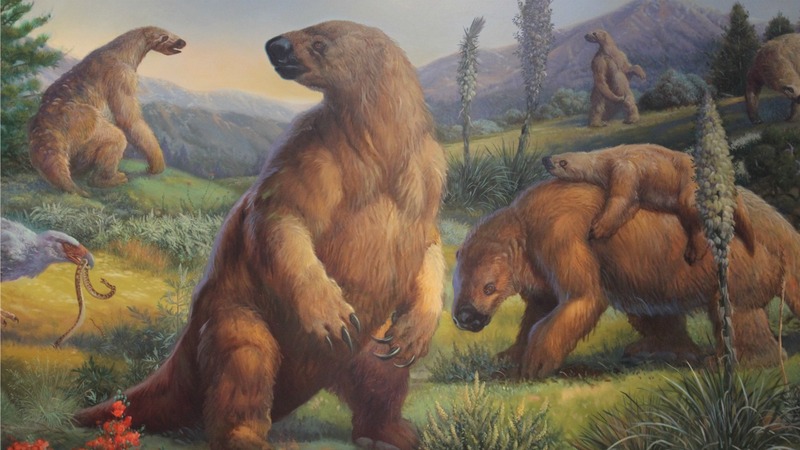 Learn more about this artist, how he got his start, and why he digs paleoart. Stout’s murals and paintings are on permanent display at zoos, museums, and attractions across the country. Learn more about his work in Fossil Mysteries at http://bit.ly/1mjliIK.